It is dark and quiet. Mike left a little while ago and the kiddos are still sleeping. We're going to need to hit it hard this week in preparation for next week's vacation. I'm not sure what the status is on the two virtual school semesters that should be finishing up. Madi listened to Call of the Wild yesterday (on a digital audio device from the library) she actually had to read it this week for Sonlight core 100 and also for mother-daughter bookclub which is Thursday. It is a total coincidence that it worked out that way, don't you love things like that?! 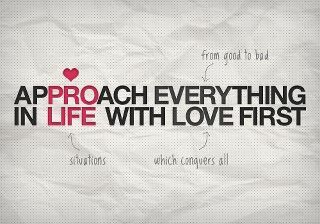 Life is to be respected, all life. Fr Robert had a great homily yesterday about this. It is not to take away the importance of unborn life, but sometimes people get so focused on that that they forget that life continues after birth and still needs to be respected. Then I got home from church and saw this picture on facebook. Another coincidence? I'm loving e-mealz! We had sweet and sour meatballs, green beans, and mac and cheese last night. This week we'll have tilapia, some kind of chicken that involves cheese and sour cream, spinach rollups (sorta like stuffed shells), and more yummy stuff. No cooking or cleaning and four nights of dressing up and eating fancy meals on the high seas!! Dentist and Dermatologist appointments this week, plus Bookclub and Home Ec co-op, this is all in addition to the regular busy plans. The kids got their parts for the 80s Follies...Madi got about 4 parts including a teacher and a cheerleader. Jake is a top gun pilot, pacman, and gets to sing Don't Stop Believing! Gotta love the 80s!!! Just back and forth between church choir, theatre, and above appointments and co-ops. Next week...no road just the deep blue sea!! WICKED! 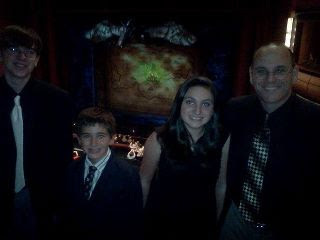 We saw the touring performance of WICKED on Saturday. It was the absolute best show I have ever seen. And I think you know I've seen quite a few shows!! "Glory to God in the highest and on earth peace to people of good will...." Jake and I have a little inside joke and chuckle every week when we sing this. One time he made a comment about it being about people from Goodwill (and he doesn't even know about all those people of Walmart things) but every week at that point we smile at each other and then I send a little prayer up for all the people who benefit from Goodwill Industries. We cannot delude ourselves: By our mutual love and, in particular, by our concern for those in need, we will be recognized as true followers of Christ. This will be the criterion by which our Eucharistic celebrations are judged. That 80s show looks like it will be a blast! I saw Wicked a few years ago in Hartford and absolutely loved it!